West Highland Extension to Mallaig was formally opened on 1st April 1901, providing a link (for passengers and freight) between the city of Glasgow and the small fishing port of Mallaig. 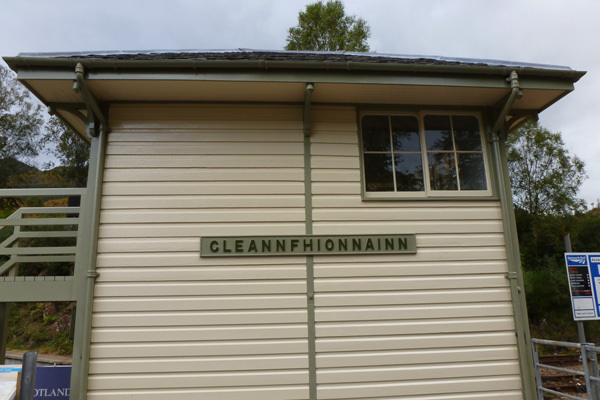 The two-platformed station at Glenfinnan contains many of the original features, including the ‘Swiss style’ station building, the water tank, the oil store and the ornate signal box ( containing 15 levers); the latter located at the east end of the platform. 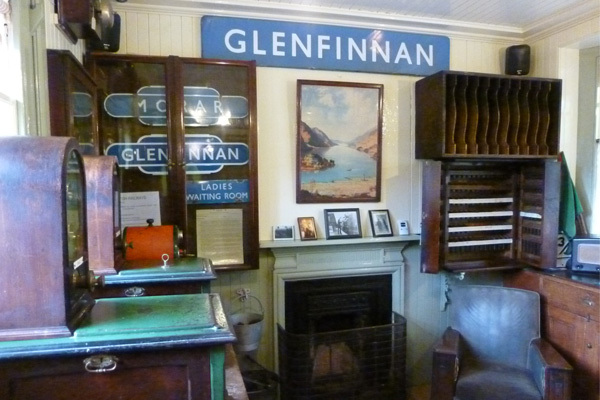 Part of the station building now houses the Glenfinnan Station Museum, set up in 1991, together with a small gift shop. 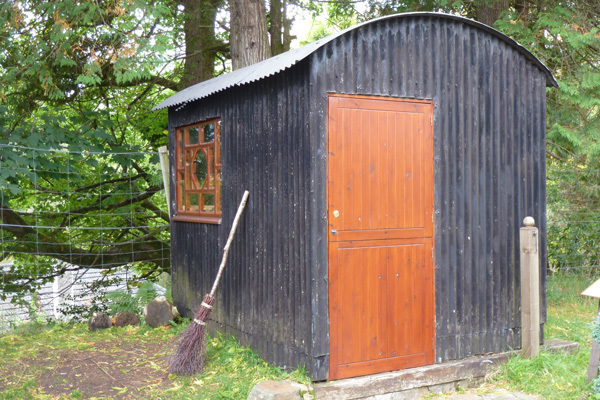 There is also a Dining Car (serving drinks and light refreshments) and a Sleeping Car (offering bunkhouse accommodation) and a short circular woodland walk on site. 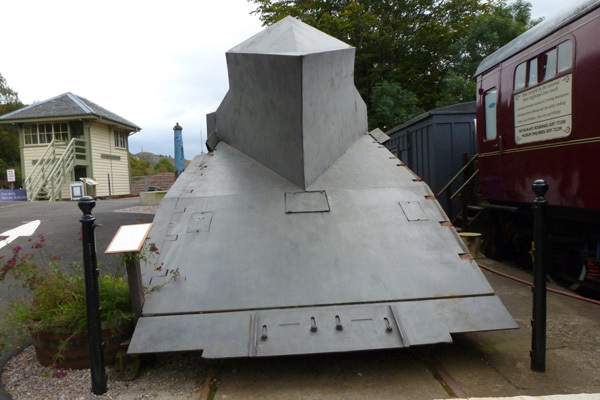 The Station Museum recounts the construction of West Highland Railway Line, with particular reference to the Mallaig Extension Line. It includes displays on the local geology, the history of the line, those involved in its construction, and the difficulties encountered during its construction. There are also interpretation boards on life in the Highlands, The Highland Land Wars of 1880s and the Royal Commission of Inquiry into the Conditions of Crofters and Cottars in the Highlands and Isles that led to the building of railway line by the West Highland Rail Company. The West Highland line between Glasgow and Fort William was built between 1889 and 1984, between Fort William and Banavie in 1895 and the Mallaig Extension Line between 1987 and 1901. 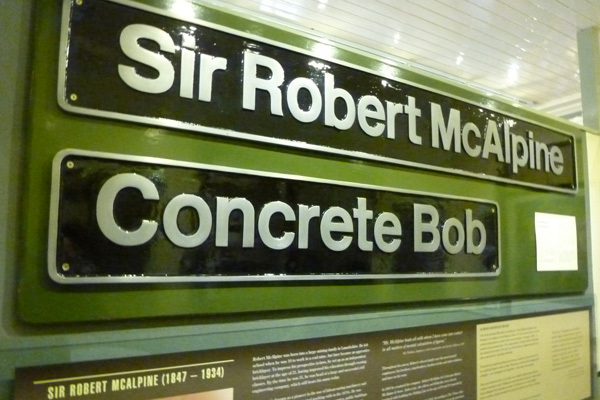 There is an exhibit on Robert McApline, also known as Concrete Bob, who was the innovative contractor responsible for the laying of the line and the construction of the magnificent Glenfinnan Viaduct. There are also some interesting photographic collections of the station and its immediate surrounding from 19th century onwards, as well as an album dedicated to the restoration programmes. Restoration work on the station and buildings was undertaken in 2007 and 2011-2012. The walls of the Museum are adorned with prints and photos of the station, a poster of the rail network and the surrounding landscape, as well as locomotive plates. Other exhibits include a metal ticket machine and some model trains. The Booking Office also displays the original token instruments. The Mallaig Extension Line used an electric token system whereby tokens were required to allow the train to pass along the line. 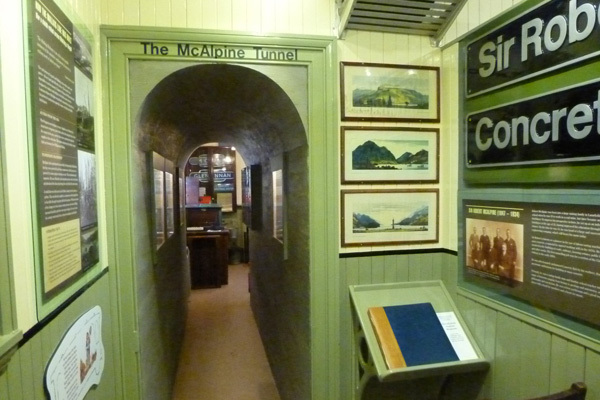 Children are catered for with their own interpretation boards and a selection of rail-related games and books for children in a storage cupboard in the Booking Office. A very interesting and well thought-out Museum and is well worth a visit if staying in and around Moidart, Ardnamurchan, Morvern, Arisaig and Mallaig. Glenfinnan Viaduct was completed in October 1898 and represents a staggering achievement in mass (non-reinforced) concrete construction. 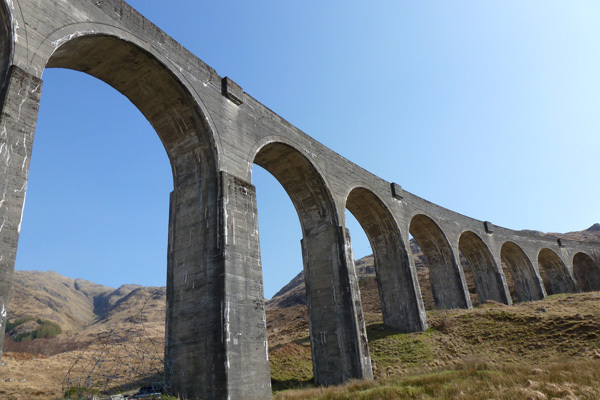 The Viaduct is 380 metres long, 30 metres high and with 21 arches, each spanning 15 metres and spans the River Finnan at the head of Loch Shiel. It makes for a dramatic and iconic feature of the landscape. 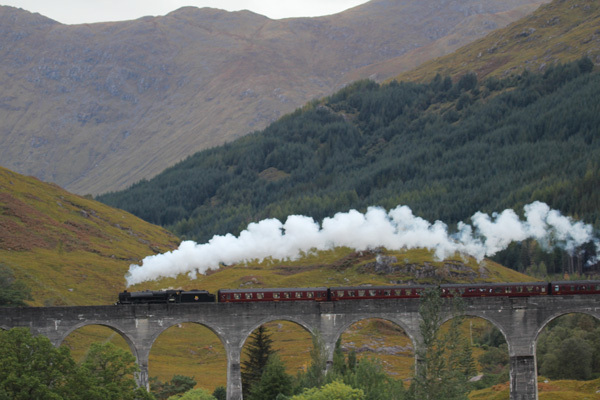 The Glenfinnan Viaduct has featured in several films, including the Ring of Bright Water, Charlotte Gray, Harry Potter films, and the TV series Monarch of the Glen. It has also featured on the Bank of Scotland £10 note. The Jacobite Steam train crosses the Viaduct at around 10.45 am during the Summer Season (May to October). There is an addition afternoon service between June and August, with the train crossing about 3.15pm. 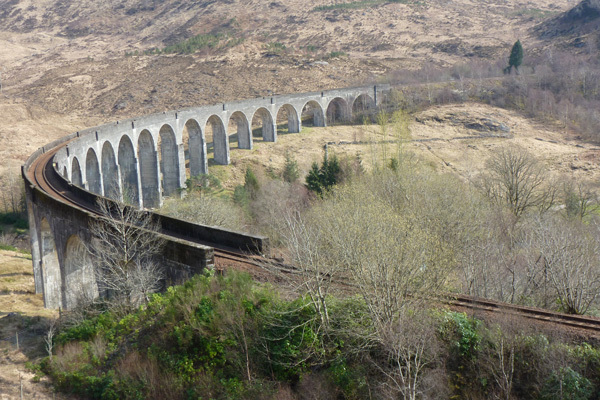 Good views of the Viaduct can be obtained from the National Trust Viewpoint (with pay and display Visitor Car-park) and the Glenfinnan Monument. 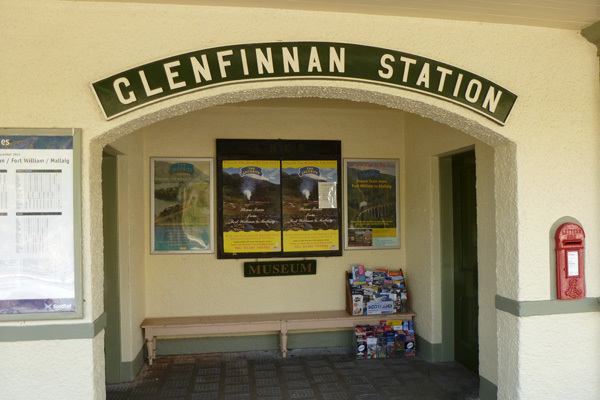 There are also several viewing points on the Glenfinnan Station and Viaduct Walk (a 3.3km circular hill walk which loops around Glenfinnan Station and Glenfinnan Church). 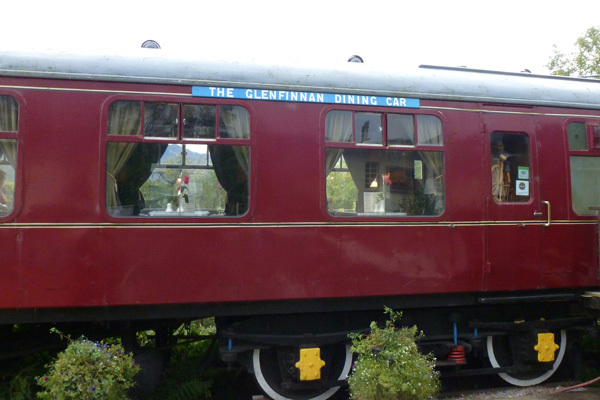 Attractions nearby Glenfinnan Station include: Glenfinnan Monument, Glenfinnan Viaduct and Station Walk, Glenfinnan Viewpoint Walk and Glenfinnan Church.